Today is the official end of meteorological winter, but even for the heartiest of Minnesotans, it's hard after a winter like this one (read: if not freezing, it was snowing) to believe that the end is in sight. To ensure we're offering options for energizing evenings in the great indoors, Minnesota Rising invites you to two events in March: The first of 6 monthly Sounding Board sessions as we invite your input on our core purpose and communications; and the "Minnesota Rising Story Lab: Our Story, Our Future" in partnership with Torch Community. Find more details below and consider joining us in these exciting conversations as we wait for the thaw! The Tri-College NEW Leadership Institute welcomes applications for their 2014 cohort of women leaders from across the Upper Midwest region. Learn more about this incredible 5-day intensive training institute and apply today for the opportunity of a lifetime. As they say: whether or not you view yourself as a leader now, if you desire to create positive change in your community, YOU should apply! Register today to hear more about real-time and real world insights! Enjoy delicious food and network with your peers. 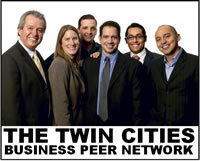 Featuring professors from Hamline's master's degree programs in business, nonprofit management, and public administration. Rob Routhieaux is associate professor of leadership and management and director of Nonprofit Management programs in the Hamline School of Business. He has taught a wide variety of courses, including Nonprofit Governance, Finance and Law, and Entrepreneurship. His research focuses on nonprofit collaborations and leadership. Topic: "Executive Turnover and Emerging Leadership Needs in the Nonprofit Sector"
Kris Norman-Major is director of Public Administration programs in the Hamline School of Business and co-director of Hamline's Center for Public Administration and Leadership. Her research and scholarship focus on social policy and issues of social equity and cultural competency. Topic: "The Public Good of Peanut M&Ms"
Dave Berg focuses on the dynamics of industry globalization and the nature of global competition. His research explores the adaptation and reaction with regard to globalization, and the ways in which firms from different national backgrounds are prepared for global competition. He teaches strategies management and international business/management at both the undergraduate and MBA levels. 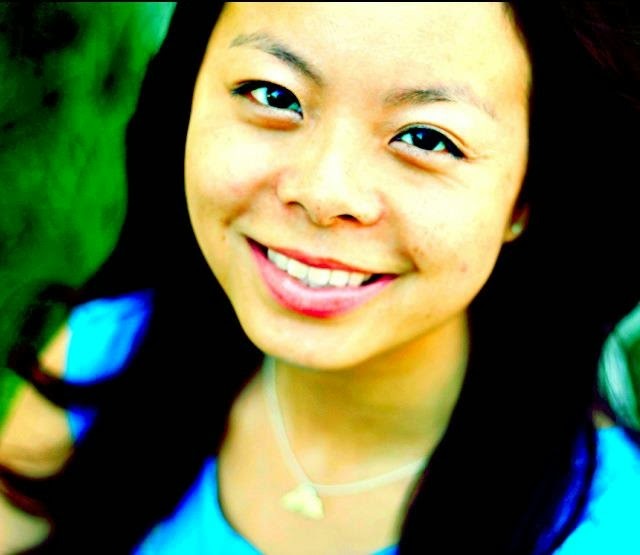 Topic: "Pickles and the Jarring Forces Facing Firms"
Diane Tran is founder of Minnesota Rising, project manager at Grassroots Solutions, and current board chair of the Citizens League. 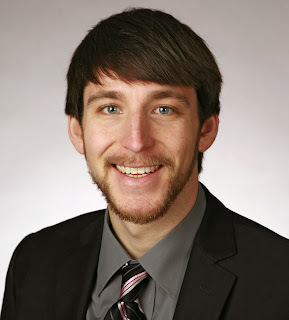 Eriks Dunens is the Alumni Program and Cohort Coordinator for Leadership and Civic Engagement programs at University of Minnesota Extension. Ever had that strange feeling that people are talking about you while you are in the room? We did while at Minnesota Compass' Annual Meeting "Minnesota next: Millennials, leadership, and the information economy." We were amongst 13% of the self-identified Millennial population in the room. Having served on the core team for the Minnesota Rising Cascading Conversations Tour over the past two years, we had a particular interest in data and trends related to the rising generation in our state. Minnesota Rising is a network of emerging leaders in Minnesota focused on building relationships, trust, and a shared vision, and seeks to develop the collective capacity of the rising generation to impact Minnesota's future. Recognizing that the Millennial voice was not fully represented in the room that day, MN Compass thoughtfully invited us to reflect on and consider how emerging leaders would use data differently. Much has been made of the demographic shifts Minnesota is currently experiencing and will continue to undergo in the coming years. The State Demographer indicates that by 2025, Baby Boomers will hit age 80 en masse, the time in their life when health care costs will be at their highest, and the labor force growth rate will dip to 0.1%. Further, Minnesota is growing increasingly diverse at a rapid rate: from 2005 to 2035, the white population is projected to grow nine percent, compared to 112 percent for the total minority population. While these demographic shifts have been clear for decades, there has been limited interest in their implications and minimal action to identify paths forward until recently. Large-scale trends and indicators have, by definition, a massive scope. One unintended consequence is that individuals can feel powerless to impact them. Data that shows trends and identifies problems but is not presented with ideas for action is missing a key element. We have attended numerous events in recent years featuring presentations on demographic trends and been left, more than once, feeling helpless or uncertain about a path forward. Lacking a clear and unified plan for addressing all segments of our current demographic challenges can be disempowering to our communities. While data is largely perceived as neutral and merely subject to the agendas of those who interpret and relay it, there must be a recognition that data should inform trends, identify opportunities for remedying challenges, and offer real opportunities for changing otherwise dismal outcomes. These opportunities for impacting said challenges must exist on individual, organizational, community, and societal levels. One group for instance, the Citizens League, is Taking On 2025 with plans to promote economic prosperity, enhance the value and decrease the cost of public services, and rebuild Minnesota's infrastructure. Using their civic policy making model, the League will engage community members as policymakers in their homes, schools, workplaces, places of worship, and more. When we use phrases like the "achievement gap" or "opportunity gap," we unconsciously reinforce stigma and may inadvertently cause those affected by these challenges to appear as the causes of these problems. The way we often talk about data can make it seem that we view groups as "the problem" that needs to be fixed. This is not done on purpose, but can result from following the norms of the dominant culture responsible for producing and sharing this data. Language is important and the ability for it and data to be "other"ing should be taken seriously. How can we instead focus on leveraging the diversified assets our community brings to bear in order to compete in a global economy? We saw a great example of this at the Annual Meeting. Marilee Grant and Allison Liuzzi shared a series of facts about the state of Science, Technology, Engineering, and Math (STEM) education in Minnesota. The state projects significant growth within the STEM job market. However, only one-third of Minnesota high school graduates are college-ready for STEM-related coursework, and those are predominantly white and non-Hispanic. How can we cultivate homegrown talent to satisfy increasing demand while addressing racial gaps? Marilee and Allison shared a plan, a cradle-to-career STEM framework, to ensure we are preparing our future workforce. The development team built the model from key measures that informed important points along students' developmental path. Some of these indicators - that students of color express similar or greater interest in STEM than other students do - form the basis for where and how to focus efforts. Positive data was incorporated into the framework to guide suggested actions while implying that there is hope for improving the overall situation. Millennials are learning from MN Compass and myriad others who have compiled, interpreted, and acted on research for many years. Minnesota Rising's hope is that we can emulate the best of what data has provided to our communities in the past and that all generations impacted by this data can continue to have a place in this conversation. At this time where we are on the precipice of significant transition in our communities, we can either watch as demographic changes continue unfolding or we can leverage data to envision and create a future state that embraces all of our assets. Having recently had an amazing opportunity to publish a children's book through the Reading Together Project, I'm excited to spread the word about the Council on Asian Pacific Minnesotans (CAPM) 2014 Open House! Join CAPM staff, board members, and supporters to learn about their exciting work in the year ahead. Enjoy light refreshments and a fun opportunity to mix and mingle with those connected to this Minnesota state agency!